Steer your vehicle to Oshkosh's best. Power steering was one of the most convenient inventions for drivers in the 1950s. Since then, it has been pretty much an industry standard. In addition to making your car easier to drive, power steering prevents you from having an accident since you can turn sharper and react quicker to unexpected obstacles. Drivers have become accustomed to the ease of driving with power steering, so if you experience an issue with yours, you’ll want it to be repaired immediately! Felix Auto and Tire can check your steering system and make the necessary repairs. If you are having problems steering your vehicle, the first thing we’ll check is the power steering fluid. If it’s at the appropriate level, we will look at the power steering pump. Sometimes, the bearing will go bad or the hoses will be blocked. Both are easy situations to remedy if you choose the right car care pros! 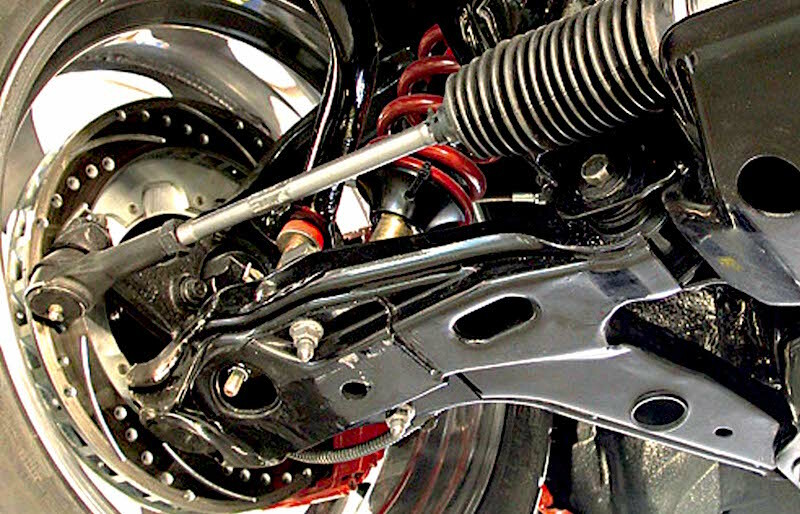 Your suspension includes the shocks, struts, and springs underneath your car. The flexibility that these parts provide is important because it allows your car to adapt to most surfaces you drive on. When the suspension system in your car is warped or damaged, you could experience increased wear on your tires and decreased control over your vehicle. Once you have had the steering and suspension system checked out, your Felix Auto and Tire pro will probably recommend that you also have the tires checked, balancing and aligning them if necessary. You’ll notice one or more problems if your steering and suspension system are damaged. Your car may ride rougher than it used to, or you may notice that your steering wheel looks crooked even though the tires are straight. You can also take a look at the tires to see if they are showing any signs of uneven wear. Some drivers also report a noisier ride coming from their car when the suspension is off. It’s recommended that you have your car’s steering and suspension system checked out after every 50,000 miles, but if you notice any of the warning signs above, go ahead and bring it in to have it thoroughly checked by Felix Auto and Tire!